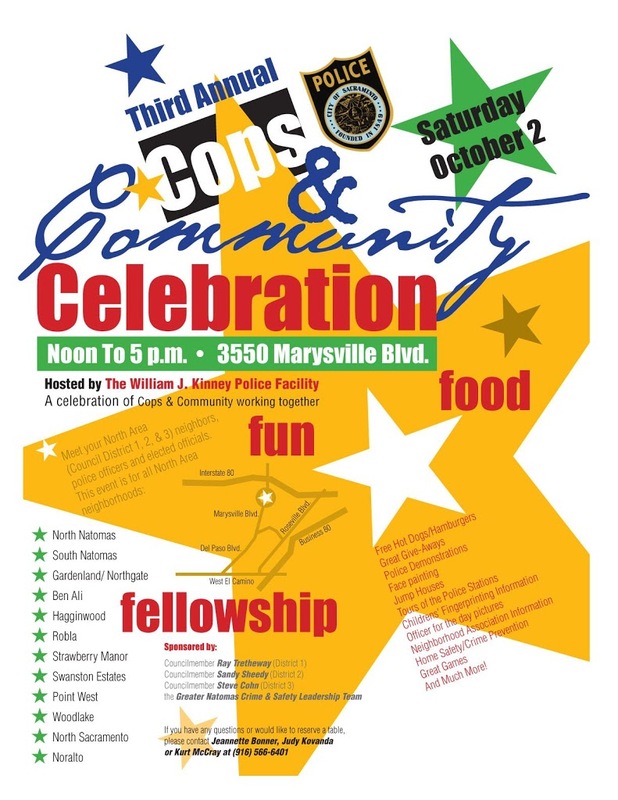 The Third Annual Cops & Community Celebration takes place next Saturday, October 2nd from 12pm – 5pm at the William J. Kinney Police Facility. 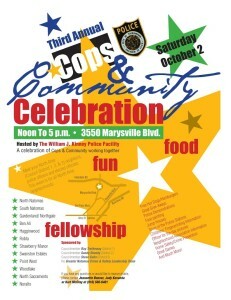 In its third year, the event is a celebration of cops and community working together for the better of all North Area neighborhoods. The event features free hot dogs and hamburgers, give-aways, police demonstrations, face painting, jump houses, tours of the police station, fingerprinting information for kids, games, and officer for the day pictures. The event is also an opportunity for residents to get information about neighborhood associations, home safety, and crime prevention. Cops & Community is sponsored by Councilmembers Ray Tretheway, Sandy Sheedy, and Steve Cohn, and the Greater Natomas Crime & Safety Leadership Team. For questions and info on reserving a table, contact Jeanette Bonner, Judy Kovanda, or Kurt McCray at 916-566-6401.